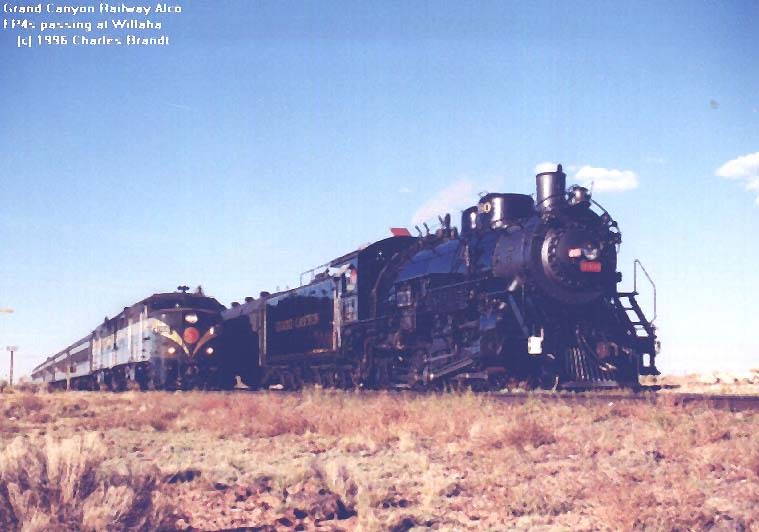 The Grand Canyon Railway operates daily service from Williams, Arizona to the south rim of the Grand Canyon. 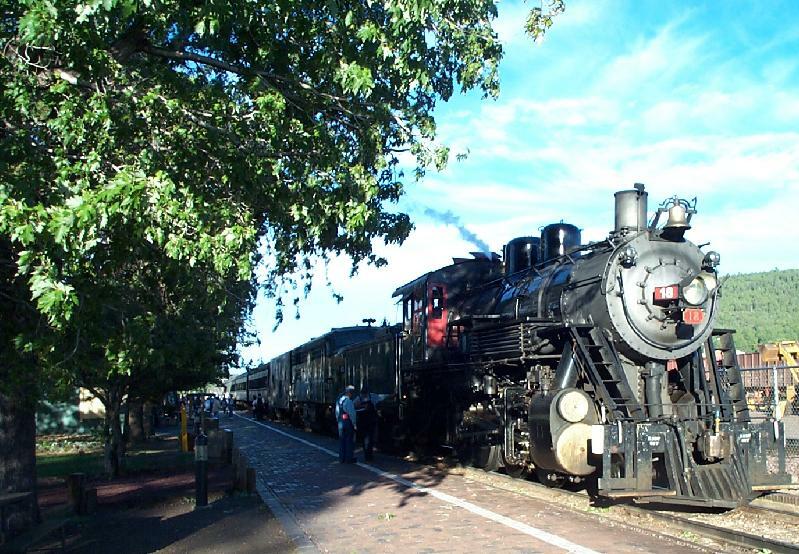 From Memorial Day through September, the trains are hauled by historic steam engines. It is a great ride, with entertainment for the whole family. 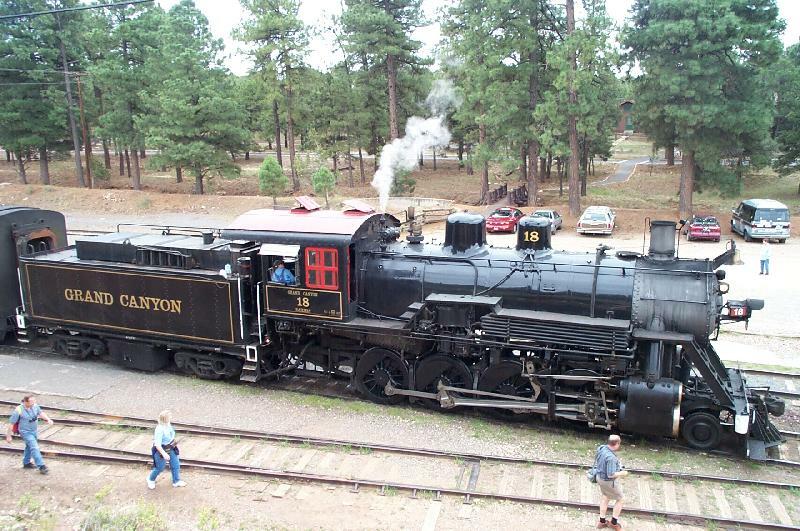 You avoid the traffic jams and parking problems at the Grand Canyon. 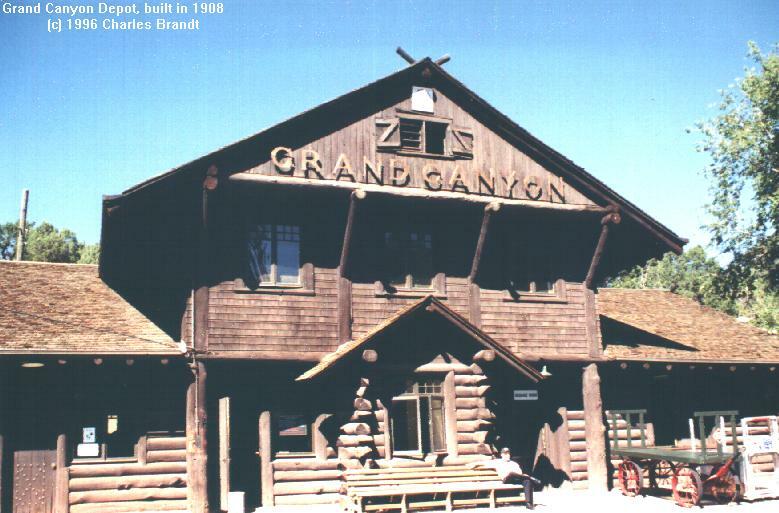 The Grand Canyon station is located very close to the rim of the canyon, an easy walk. 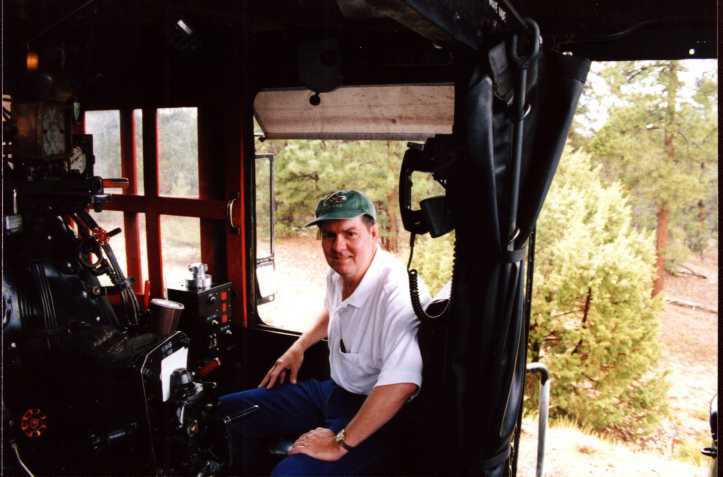 Shuttle buses provide access to numerous lookouts. 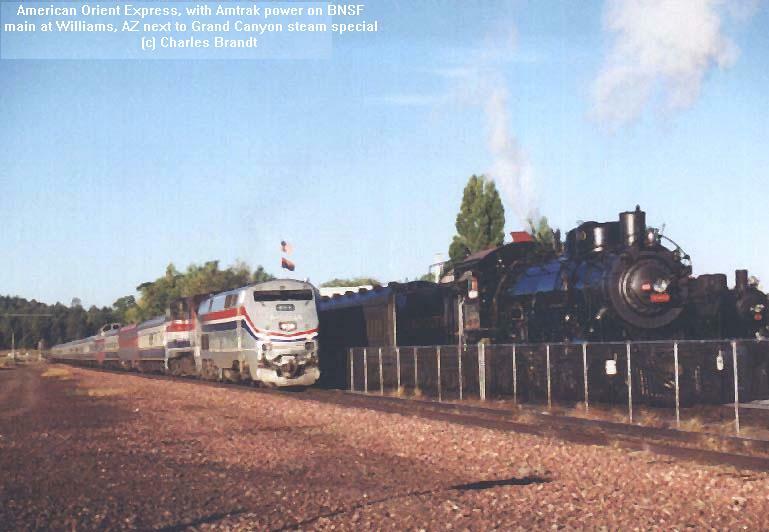 A wonderful train ride and views like this at the Grand Canyon provide a fantastic day. Don't miss it. Photo above by Pierce Haviland. 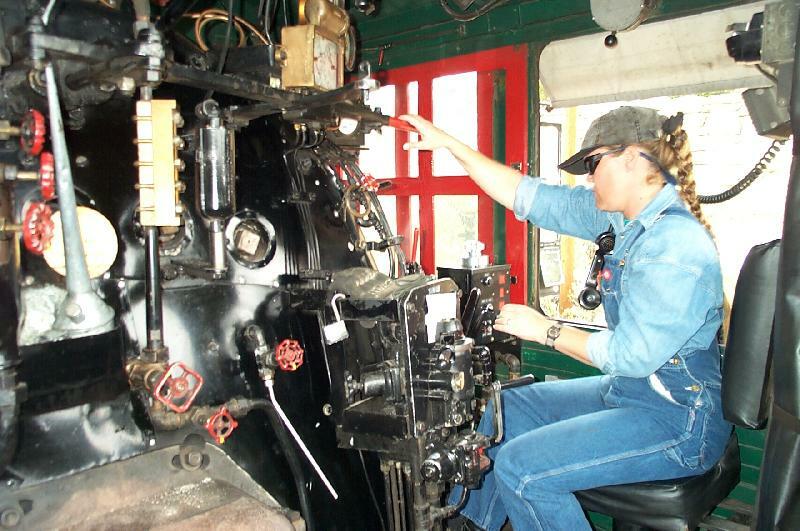 In the cab of a live steam engine, engineer Haviland in the seat. No, I didn't run the engine, but I would like to.